He was born in March 1, 1955 in South Korea and graduated from Chungbuk National University in Korea. He obtained his M.S. degree from the University of Colorado at Boulder, USA in 1987 and a Ph.D degree from the Southern Illinois University at Carbondale, USA in 1994. Since graduation, he has been teaching geotechnical engineering at the Incheon National University, South Korea, where he obtained a full professorship in 2005 and has served as dean of the Urban Science College until 2016. Prof. E.C. Shin was twice awarded the Outstanding Research Professor title from the Incheon National University in the years of 1997 and 2010. He also serves an adjunct professor in the Ph.D program of the Geotechnical Institute at the L.N. Gumilyov Eurasian National University, Astana, Kazakhstan, where he has been working since 2006. 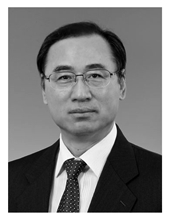 In the past 20 years, he has been a devoted member of the geotechnical activities in Korean Geotechnical Society, and also contributed to the success of many activities took place under the umbrella of ISSMGE, most notably in the technical committees of mega projects, soil reinforcement, historical monument, and environmental geotechnics. He delivered numerous invited keynote lectures in the international geotechnical and geosynthetics conferences hosted in Asia and South America. He also participated in several geotechnical and geosynthetics touring lectures organized by the ISSMGE and the International Geosynthetic Society in many countries as an invited speaker. He has published 5 books on the geotechnical, geo-environmental and civil engineering related subjects as well as more than 100 journal papers and 150 conference papers. The President of Kazakhstan, NursultanAbishulyNazarbayev recently presented him an Achievement Award of 2012 in appreciation of Prof. Shin's dedication to geotechnical and geo-environmental engineering education, and technology transfer contributions. He also received the 2008 Achievement Award presented by the International Geosynthetics Society. Prof E.C. Shin made a major contribution to the hosting of the United Nations’ Office of Green Climate Fund (GCF), by the Songdo, City of Incheon, working as the Director of Incheon Green Environment Center. The GCF Office was opened in December 2013. Now, he is a Vice President of ISSMGE for Asia (2017-2021).